Marking the 9 days of pleasing the 9 incarnations of Maa Parvati, Navratri is commemorated as the most pious occasion in Hindu religion. Celebrated with great zeal and enthusiasm all over the country, Navratri is the occasion to revere the 9 force of nature. The 9 nights of Maa Durga are celebrated with Puja and a spirit of festivity all around. 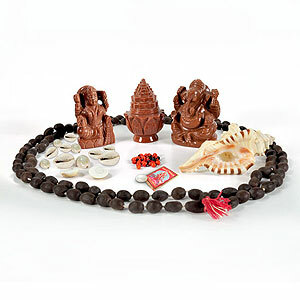 When any Hindu Festival is celebrated, utmost importance is given to the puja vidhi and the rituals that are followed. 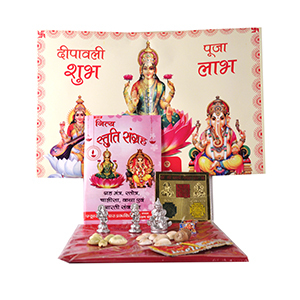 Navratri Pujan Kit designed by Future Point contains Navratri Pooja Vidhi alongwith Puja material. 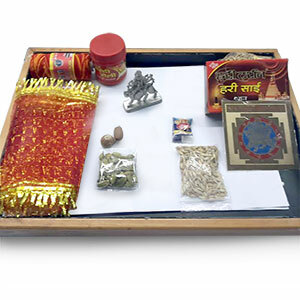 Apart from the items present in the Navratri Pujan Kit, You will need incense sticks, a ‘diya’, and a matchstick. You will also require some fresh flowers like rose, jasmine or red hibiscus, or whichever flower you hold pious. You may offer fresh fruits and sweets such as ‘laddoo’, or ’peda’ for prasad. To perform the Navratri Puja, take a mat to sit. If possible, every member of the house should sit together while performing the puja. Holding a strong front while performing the Navratri Puja will bring abundance and affluence in your life. For performing the Navratri Puja, there are a few important guidelines you must follow. On the day of Navratri Aarambh, you need to wake up early in the morning. Get up sharp at the first brink of sunrise. This time is considered best to perform the Navratri Pooja. Take a bath and wear fresh clothes. 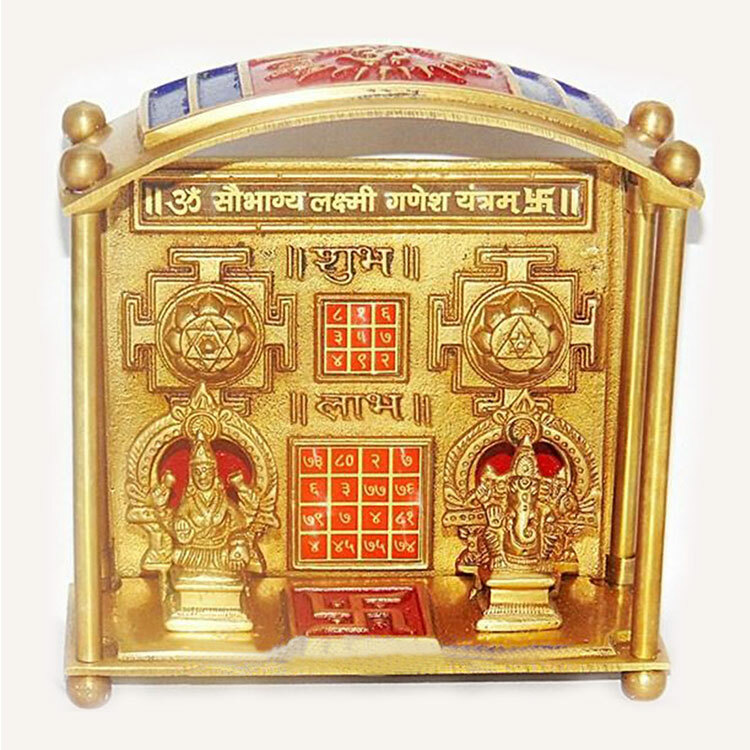 Keep the Diya, or lamp at the left side of the deity. Try to light the ‘Akhand Jyoti’. If you are lighting the "Akhand Jyoti" then make sure that there must always be someone at home to keep the lamp lighted at all times. Constant oil refiling is needed to keep the Akhand Jyoti lit. On the right-hand side of the idol, keep incense sticks, and all other Puja items. The puja when performed must be done with utmost devotion to get the choicest blessings of the Goddess. 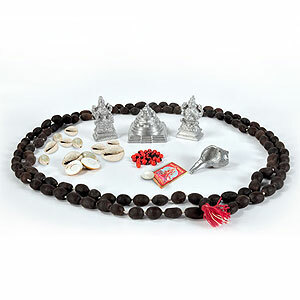 Keep the Kalash and coconut with Navratri Puja items as well. To begin the puja, lay the mat and sit in an upright position in front of the deity. After this, light the ’Deepak’ and start with the next step of the Puja while keeping the pious atmosphere intact. "Om aing hreeng kleeng chamundaya vichche". During the recital of the mantra, you are to give Aahuti 108 times. Fold your hands and pray to the goddess for sound health and prosperity of all. Let her glory shine brightly on all her devotees. At last, offer prasad and perform Aarti of Goddess Durga wholeheartedly. To conclude the puja, one must recite the "Kshama Prarthana" to apologize to Maa Durga for any error made while performing the Navratri Pujan. The eighth day of Navratri is popularly known as Ashtami and simultaneously, the ninth day of Navratri is commonly known as Navami - the final day of Navratri celebrations. There are plenty of altercations to the norm or celebrating Maha Ashtami or Maha Navami as the final day of Navratri in different households. The last day of Navratri marks the completion of the observance of 9 fasts in respect to the diety. People of different states celebrate Maha Ashtami or Maha Navami in their own way. People from Haryana, Uttar Pradesh, Bihar and Punjab do ’Kanya Puja’ on the last day. On concluding day of the Navratri, the ceremony of Kanya Pujan is performed where nine young girls are invited in the house and treated to a feast of delicious food. These nine young girls are treated as the nine incarnations of the Goddess herself. They are welcomed by washing their feet and putting a ‘sandalwood mark’ or ‘tilak’ on their forehead.